NRCS Plant Materials Centers provide assistance to American Indian tribes on cultivation of culturally significant plants. The Natural Resources Conservation Service administers Farm Bill conservation programs and provides technical assistance to American Indians and Alaska Natives. NRCS has an extensive joint outreach effort with the Intertribal Agriculture Council, the Indian Nations Conservation Alliance, and other partners to increase awareness of USDA services available to AIAN communities. Natural resources on tribal lands may be culturally and historically sensitive. The NRCS Plant Materials Program provides technical assistance to federally-recognized tribes in these areas. Assistance to tribes from the Plant Materials Centers may include: 1) collecting seed and/or plants of concern, 2) determining propagation protocols, 3) selecting for desirable attributes, and 3) developing plant establishment and maintenance guidelines. 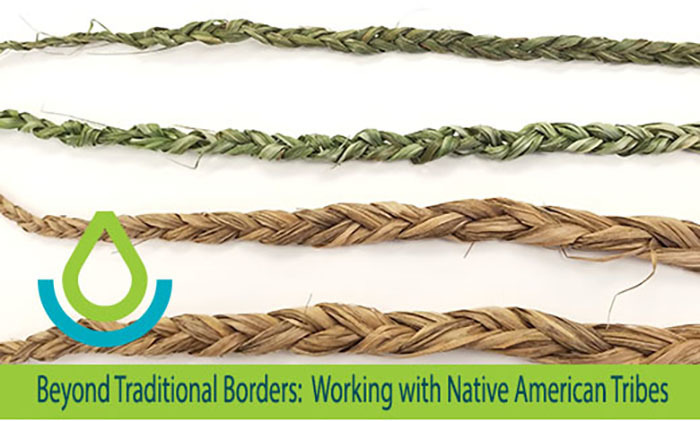 The New York Plant Materials Center (NYPMC) in central NY, delivers technical assistance and hosts workshops for Tribes and NRCS staff in the Northeast. The NYPMC has provided native plants to tribes across the northeast and other states. Sweetgrass (Hierchloe odorata) is a native, culturally significant, cool season grass that thrives in wet, well-drained soils with limited drought tolerance at all stages of growth. It is used by Indian Nations for a variety of purposes such as basketmaking and medicine.